Sana’a(ANN)-Yemeni army forces, backed by allied fighters from Popular Committees, have fired at least four short-range domestically-manufactured missiles at a Saudi-run military base in Yemen’s west-central province of Sana’a, in retaliation for the Saudi regime’s campaign against the impoverished country, Yemeni media report. 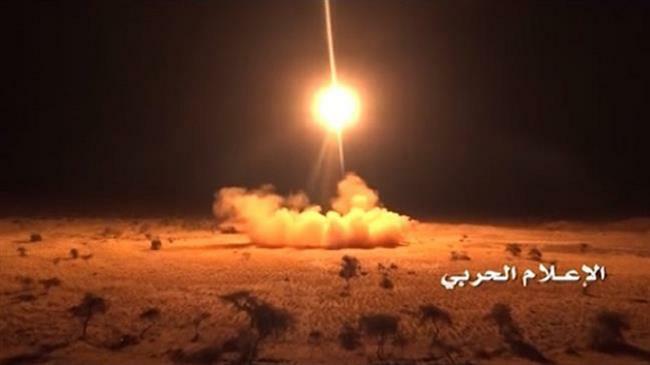 Yemen’s Arabic-language al-Masirah television network, citing a military source, reported that the Zelzal-1 missiles, with an average range of 150 kilometers, were launched against the Fardha military base, operated by Saudi mercenaries, in Nihm district on Monday afternoon. The report added that the projectiles had hit the designated targets with great precision, leaving losses in the “enemy” ranks and its military equipment. On Sunday, the Yemeni forces also launched a domestically-manufactured Zalzal-2 ballistic missile, with an average range of 210 kilometers, at the Ain al-Thwareen base in Saudi Arabia’s Asir region in retaliation for Saudi airstrikes, which hit its target and left an unknown number of casualties.